Attention online shoppers: UPS is planning a move that could make buying presents around the holidays a little pricier this year. The delivery company announced that for the first time ever, it will charge an extra fee to deliver packages during certain weeks in November and December. Ground shipping will cost an extra 27 cents the week before and the week after Thanksgiving — just in time for all those Black Friday and Cyber Monday sales. And procrastinators, take note — the surcharge will apply once again the week before Christmas. During that last week rush period, UPS will also charge an 81-cent additional fee for next-day air delivery and a 97-cent fee for two- or three-day air shipping. Nanny/Au Pair: This person lives with you and takes care of your children, so a personal gift may be better than cash. However, if you wish to do a cash bonus, one week’s pay is a good amount to consider. Child Care Provider: Small gifts work well in this situation. You can have your child make or buy something small for each person who takes care of them. Cash gifts in the amount of $25 to $50 also work. Babysitter: If this is not the regular provider, you can give them a small tip equal to the amount of one night’s pay. Live-In Help: If you have a cook, housekeeper or other person who lives with you and provides services, a personal gift is usually best. If you wish to give cash, consider giving as much as one week’s pay. Private Nurse: Cash is not usually a good idea in this situation. A small gift works best. Home Health Worker: You will want to check with the agency regarding tipping policies before giving any gift. If allowed, something small (not cash) is usually best. Housekeeper/Cleaner: You can give a cash tip equal to as much as one week’s pay. You can also add in a personal gift, if you desire. Hairdresser/Barber: In most cases, you tip on a regular basis, so a holiday tip is not necessary. If you do wish to tip, an amount equal to one session is a good amount to consider. Personal Trainer/Coach: If possible, give a personal gift. If that is not an option, tip the amount equal to one session. Massage Therapist: If you tip regularly, no tip is necessary. Otherwise, give a small gift or a tip equal to one session. Pet Groomer: Only provide a gift or tip if the same person grooms your pet every time. If so, give a small gift or tip equal to one session. Dog Walker/Pet Sitter: Provide a tip equal to up to one week’s pay. You may also opt for a small gift as well (or instead). Personal Caregiver: Anywhere from one week to one month’s pay or a small gift. Garage Attendant: No more than $30 or a small gift. Pool Cleaner: Cost of one cleaning — split among the crew. Elevator Attendant/Doorman: No more than $20 per person. Newspaper Delivery Person: Either a small gift or cash up to $25. Package Delivery Person: Only tip if you receive regular deliveries that are brought to you by the same person. However, always check with the company regarding policies first, as many may not allow tips or gifts. Building Super: Any amount from $20 to $75 or a small gift. Handyman: A cash tip of no more than $40. Trash Collectors: Check with regulations if they are city workers. You can tip anywhere from $10 to $30 each if allowed. Yard/Garden Workers: Tip $25 to $50 per person. The company says these price bumps will help it pay for the extra planes, trucks and employees it needs to deliver millions of packages during the holiday season. But it could be a big headache for online retailers that depend on UPS to handle their holiday shipments. As The Wall Street Journal points out, these retailers have three choices — raise their shipping prices, increase their product prices or take on the extra costs themselves. 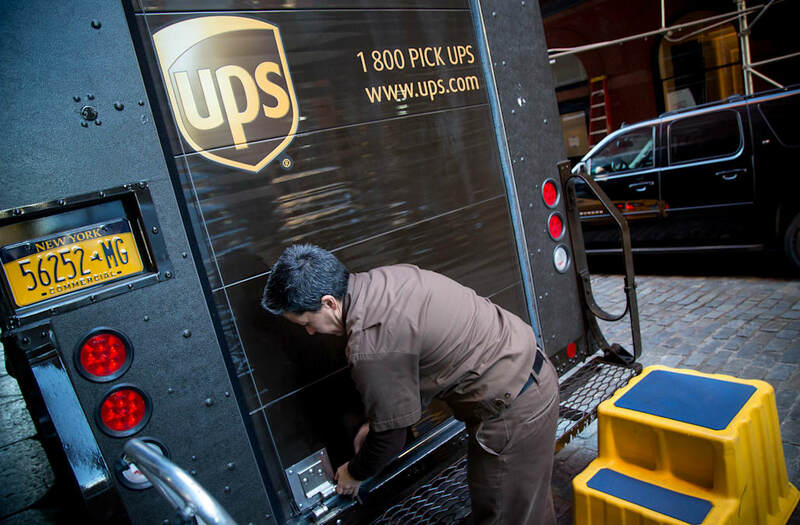 During the peak holiday season, UPS ships about 30 million packages a day.